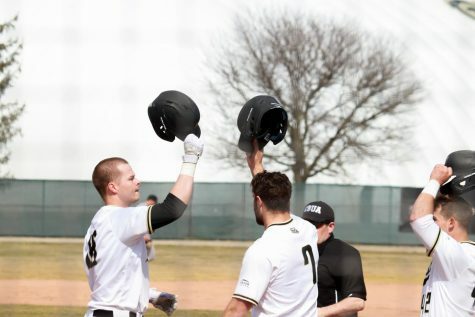 The baseball team kicked off Horizon League play this past weekend against the University of Illinois-Chicago (UIC) Flames, playing three games in two days. The Golden Grizzlies could not leave Chicago with a win, going 0-3 in the series. In the double-header on Saturday, UIC won both games by a combined seven run margin. The first game was a low-scoring affair, finishing 3-1. Oakland’s lone run came in the top of the ninth inning on an RBI ground out to shortstop by Ryan Fitzgerald. UIC pitcher Jacob Key only allowed four hits in seven and a third innings, and the Oakland offense struggled to score any runs when he was in the game. 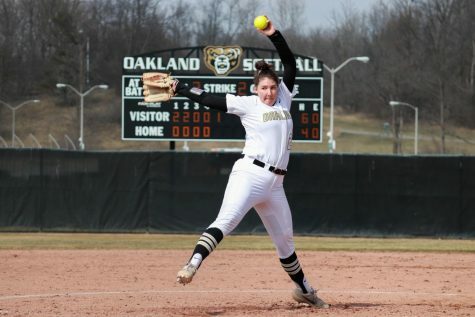 On Sunday, the Golden Grizzlies attempted to take a game from the Flames, but were unable to hold off the UIC offense once more. 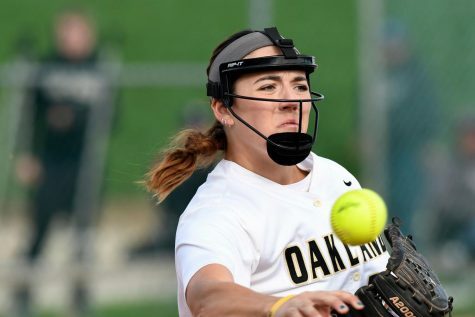 After giving up two runs in the fourth inning, Oakland was able to tie the game up at two after a Mario Camilletti knocked in a two-run single. UIC answered right back, scoring two runs in the sixth, which effectively ended the game. After the sixth, the Flames held onto their lead and closed out the series, winning the final game 4-2. The baseball team continues Horizon League play against Youngstown State University on Friday, March 22 in Ohio. The tennis team traveled to Toledo, Ohio to take on the University of Toledo Rockets. 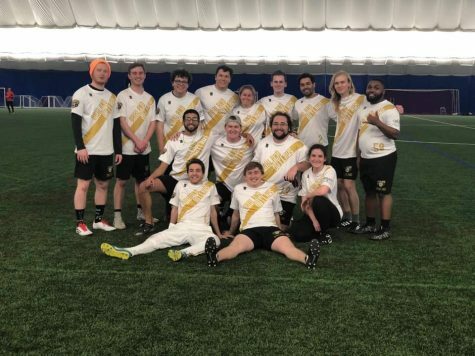 The Golden Grizzlies were unable to carry their momentum from the previous weekend into this one, as they lost 4-3 to the Rockets. Oakland was able to win two of three doubles matches against the Rockets. The doubles teams of Ava Thielman/Darya Maltseva and Samantha Galloway/Sofia Borcuti won 6-4 and 6-3, respectively. In the singles matches, Oakland was unable to come out on top, winning two of six singles matches. Thielman and Borcuti defeated their opponents. Thielman defeated hers in three sets, while Borcuti swept her opponent in two straight sets. This performance set the tennis team’s record at 6-6 for the season. Competition continues for the tennis team on Friday, March 22 against the Indiana University-Purdue University Indianapolis (IUPUI) Jaguars, kicking off Horizon League play. Oakland Swim and Dive concluded their season on Saturday at the College Swimming & Diving Coaches Association of America (CSCAA) National Invitational. The team finished with seven top 10 finishes on the day, with the men coming in sixth place and the women in ninth. Tony Eriksson recorded two fourth place finishes, one in the 100 IM and the other in the 400 freestyle relay. The 400 relay team featured Eriksson, Paul Huch, Will Gayne and Rudy Aguilar. Aguilar and Huch also competed in the 100 freestyle, where Huch placed fifth and Aguilar placed 14th. For the women’s swim and dive team, Susan LaGrand took seventh place in the 200 backstroke and Grace Shinske finished 11th. Katie Colwell also recorded a seventh place finish in the 100 freestyle. This invitational wrapped up the season for both swim and dive teams in a season where both finished first in the Horizon League, extending their conference champion streaks to 41 (men) and 25 (women).